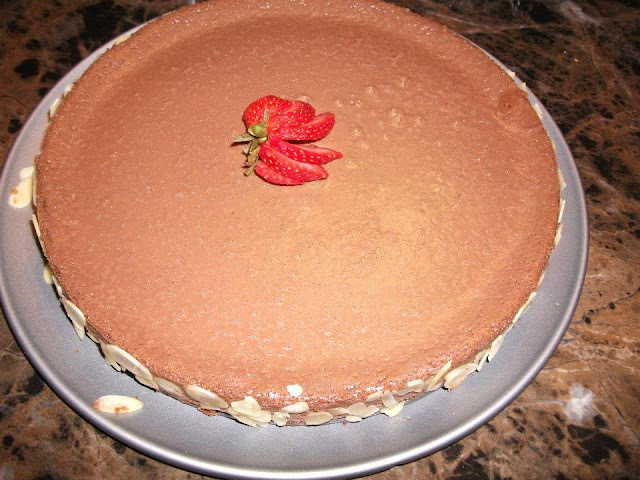 I just remembered about this delicious cheesecake that my cousin made for Thanksgiving Dinner. It was perfect! Very silky and chocolaty with a hint of baileys irish cream. A definite keeper ! Top with fresh fruit or/and sliced almonds on the side. i wish i have a slice of that now! I love cheesecake but I haven't tried Bailey's.. this looks amazing! Wow this is a serious cheesecake - rich, creamy and indulgent - perfect! I just made a ginger and raspberry cheesecake but will have to hold onto this recipe for next time. Thanks! Such a luscious looking cheesecake. Love the flavor.